Nothing happens in the universe without subjects and objects. So before getting started, understand who should host their web development project on Platform.sh Database, and the larger picture, i.e. why. Eventually, we’ll move to the how-to part. Let us find the answer one by one. Who should do it? Anyone aiming at web development based on any of the frameworks, viz., PHP, Drupal, WordPress, Magento, Symfony, TP03, Node.js, Ruby (BETA) and Python (Beta), can consider taking the refuge of Platform.sh database. Why should you do this? Continue reading. Performance and availability of digital resources are instrumental in the success of a business today. However, getting them triggered, and later maintaining their momentum is a task easier said than done. It demands a lot from DevOps. In the background, sticking to the terms of Agile development and testing, software developers and IT professionals have to ensure quality and time-bound delivery and, once the product is out, they have to deploy it in the IT ecosystem of the client so that they can reap the rewards of the technology without fail. Interestingly, Platform.sh handles all these chores, thereby benefiting every stakeholder from those who are creating it to those who are making use of it. How to host a project on Platform.sh? A database management application. We are using Sequel Pro to demonstrate here. Set up a site on platform.sh. Add your ssh-key to your account settings. Click the “+” in the bottom left corner to create a new connection. Note: You will be prompted for connection settings. At the top there are three tabs. Each type of connection prompts for different settings. 3. Select the “ssh” tab for a platform.sh connection. Let's break down the rest of the settings. Name: This can be anything that describes the database you are connecting to. Choose to have a simple and concise format. For instance, Example Site - Test. 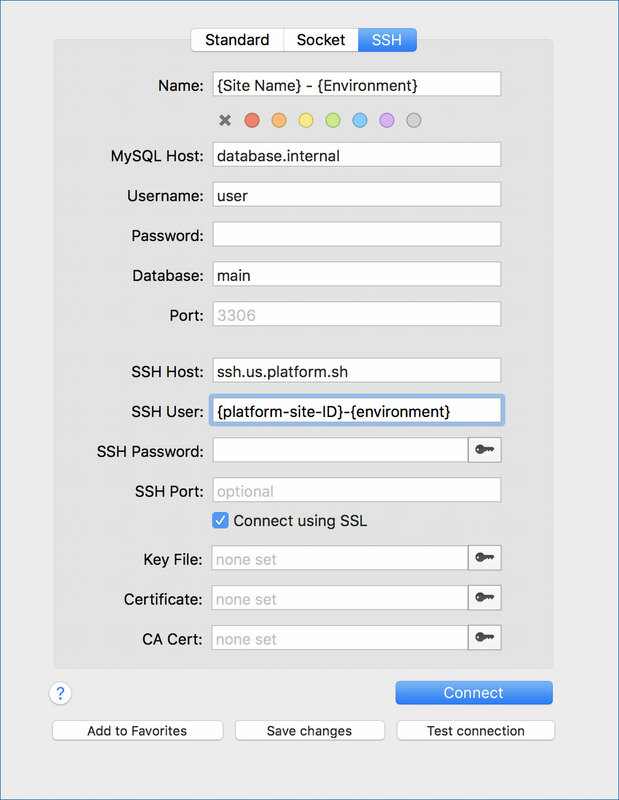 The ssh connection string available with the platform helps with the completion of the rest of the settings. Here is how to do it: log in to platform.sh> choose your project> hover over the Access site links. Next, copy the SSH ACCESS string to your clipboard. SSH User: This is the part of the string before the @ it consists of the platform site ID and the environment. No changes are required in rest of the settings, but make sure the Connect using SSL box is checked. Sequel Pro picks up your public key from your computer. If it doesn’t, browse to your public key to explicitly point to it (usually in ~/.ssh/). That's it! Click Test Connection if it connects hit Save changes then Connect. Congrats! The new favorite has been added to your Sequel Pro sidebar. 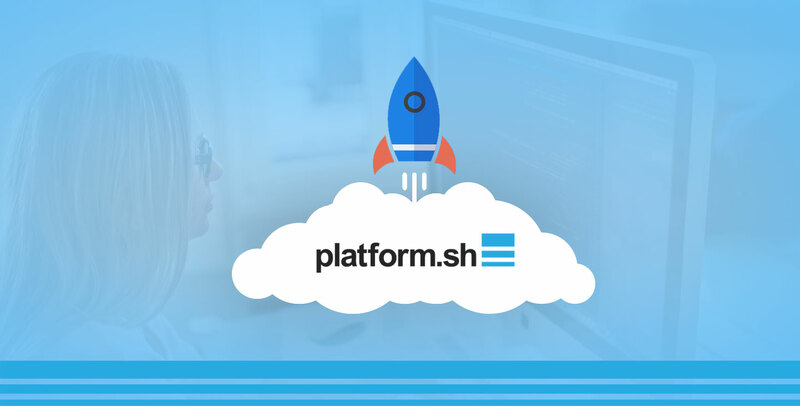 Use it to connect to your Platform.sh environment anytime to stay ahead of the competition and mitigate the integration and deployment hassles. Stuck with any problem? Don’t worry. We are here to make your job easier.